"Caring for People, Caring for Plants" - A charity based on horticulture providing meaningful occupation in a supportive environment, aiming to restore well-being to people with mental illness. 01202 593537 - Open Mondays to Fridays all year 8am to 4pm. Saturdays and Sundays March 10am to 1pm. Saturdays and Sundays April to October 10-4. Saturdays November & February 10am to 1pm, Sundays Closed. Saturdays & Sundays December & January Closed. Easter opening times - Good Friday 10am to 4pm, Easter Saturday 10am to 4pm , Easter Sunday Closed, Easter Monday 10am to 4pm. Through the use of Therapeutic Horticulture, Cherry Tree Nursery helps to restore mental well being, and give purpose to people’s lives. We are a Charity providing meaningful occupation in a supportive environment, aiming to restore well-being to people with mental illness. 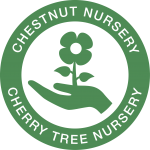 Although Cherry Tree Nursery now covers around half of its running costs through plant sales, we are aware that the project will always rely heavily on donations and we need your support so click the button below to find out more. Cherry Tree Nursery is a 4.5 acre site in Bournemouth that produces over 100,000 shrubs, perennials, climbers, grasses, trees, bamboos, ferns, conifers, bedding, herbs, alpines, roses, trees, bushes, and vegetables for sale to the public. We’ve got a lot to share! If you want to keep abreast of our Events, Developments, the people, the Projects and the Plants then just click below and we’ll keep you informed. Sign up for our Newsletter. Our volunteers find the nursery a safe and non-threatening place to work, where they can receive support, gain strength from developing friendships, share problems and experiences, and build social networks through working together.